A delicious Calvados from Normandy distillery Boulard. 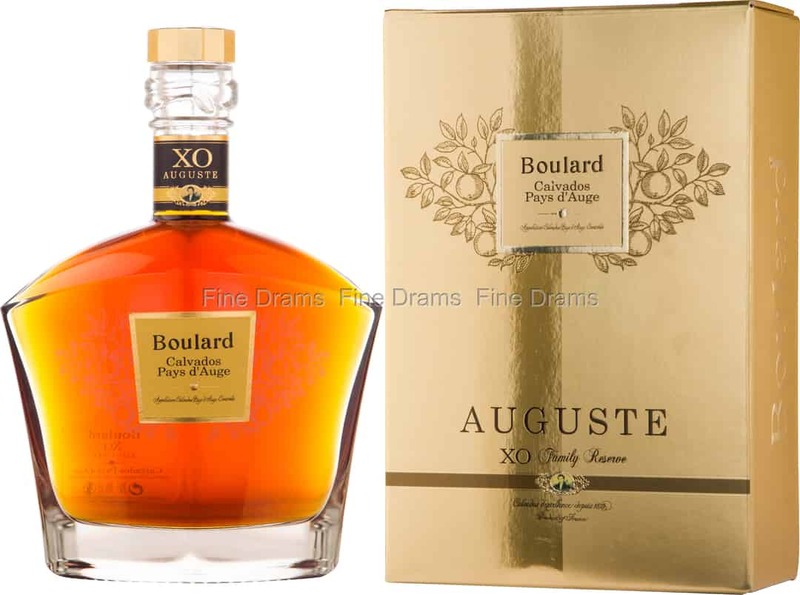 This XO Calvados has been aged for at least 6 years in oak casks, and is named after Pierre Auguste, who founded the distillery way back in 1825. The estate is found in the Pays D’Auge region of Normandy, which is known for producing superb apples. As such, the area is an appellation contrôlée for both its cider and calvados. This is a delicate XO bottling, with gentle flavours of bright green apples, pressed flowers, vanilla, milky coffee, honey, dark oak, cinnamon, cloves and nutmeg. A beautiful drop, presented in a charming decanter style bottling.